In the electrolytic refinement of thin sheets electrical losses are minimized by a small distance between strip and anode. This requires exact strip guidance. Before the strip enters the coating tank it is guided and measured between two measuring bars with nine eddy-current sensors each. 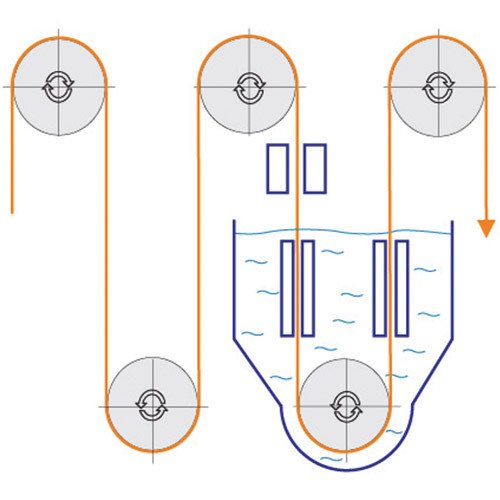 Actuators are initiated and change the position of the anodes in accordance with the strip geometry, or initiate a return to the starting position if limit values are exceeded.